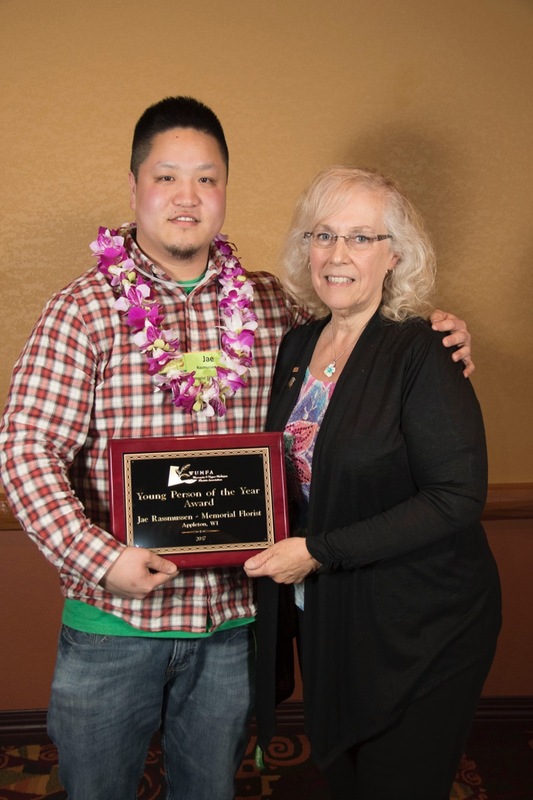 WUMFA Names Rasmussen Young Person of the Year Jae Rasmussen from Memorial Florist, Appleton, Wisconsin, is the 2017 WUMFA Young Person of the Year. 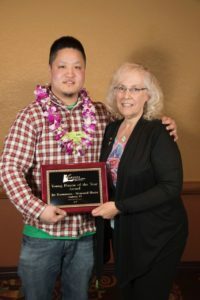 The award was presented at the annual WUMFA convention held in the Wisconsin Dells. Rasmussen began his floral career at a Fox Valley garden center working his way up from the retail department to wedding and special events designer. Although self taught, he has taken advantage of WUMFA classes to further his education. He has participated in several WUMFA convention design contests during the last several years placing first and second in several categories. At the convention he has volunteered to help out and looks forward to diversifying his role in the future.